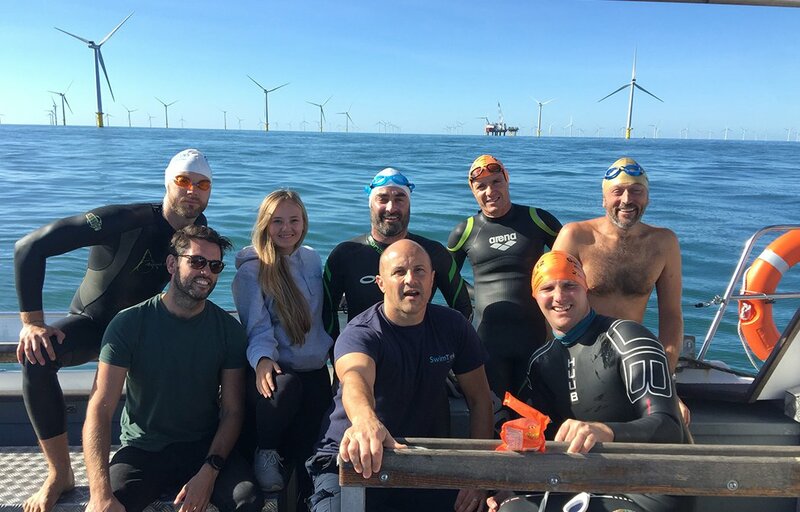 The first ever successful solo crossing from the Rampion Wind Farm into Brighton took place this week on Sep 26, when a team of local swimming organisation representatives tackled the difficult journey. 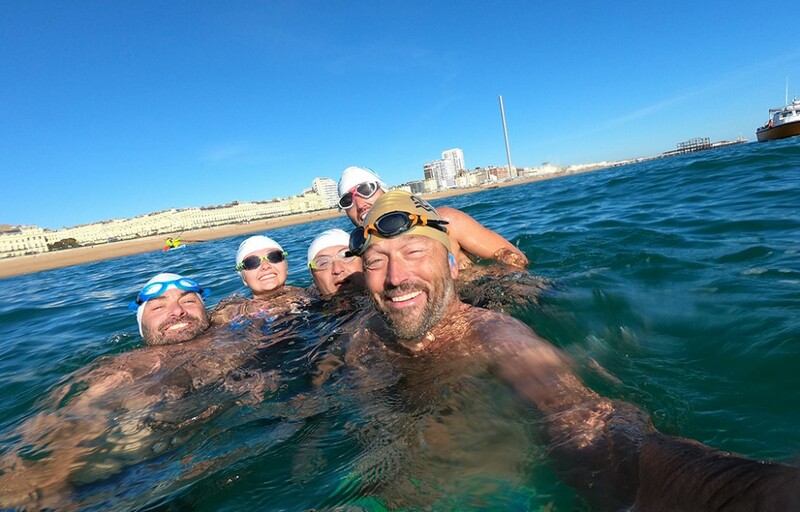 Teams from SwimTrek Swimming Holidays based in Hove and the SeaLanes Swimming Development on Madeira Drive took on the 8 mile swim in ideal sunny conditions. A relay team and three soloists were successful, but Simon Murie from SeaLanes & SwimTrek was the first and only non-wetsuit swimmer to complete the distance solo in a time of 4 hours and 56 minutes. The other successful solo wetsuit swimmers were Simon Griffiths and Robin Carr.